Home » Blog » There is an alternative and it’s better! I’m taking a little sidestep away from my search for all the good news which is happening worldwide but which we rarely hear about. I recently came across a term new to me: QED (Quod Erat Demonstrandum) which means something on the lines of ‘What’s the bottom line? In one sentence!’ and that left me wondering whether the problems of our world which seem so very complex could be described not exactly in one sentence but at least in a few bullet points. So, here are my latest thoughts …. We are an animal species with primitive animal instincts and needs but the dream lifestyle we have been led to aspire to might meet the physical needs of some of us but often does little for our psychological/social/spiritual needs – to belong to the group, to have self-esteem and be respected by others, to realise our full potential as an individual. Make money from the chaos – disaster capitalism and surveillance capitalism are the latest kids on the block! To help me back on track in my search for the good news, I’ve come to see that, as always, the battle of the 21st Century is a battle for ideas. Worldwide an increasing number of people are waking up from the ‘American dream’ and have a vision of a different world where co-operation takes over from competition and where they are finding more fulfilment in living better with less. Now I can get back to finding all those groups and individuals who have realised that there is an alternative way of living – and it’s better! 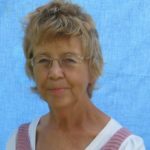 This is one of a series of articles by author Eileen Peck, questioning the challenges in today’s world and looking at possible solutions.Find out more about Eileen here. And check out more articles in this series here.